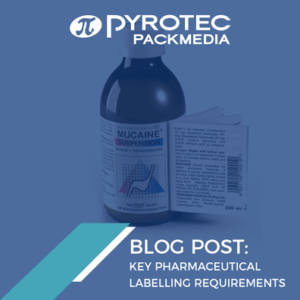 Pharmaceutical and healthcare labelling is a challenging and heavily regulated field that demands mandatory text to be legible. Fix-a-Form® informational booklet labels from Pyrotec PackMedia are a trusted and secure way to meet legislative requirements for detailed product and user information by increasing space on a product. Fix-a-Form® booklet labels allow you to include detailed product information on the container itself. Among its benefits, it can reduce patient risk as information is always kept with the medicine and can help to ensure that vital information remains on pack for the lifetime of the product. Pyrotec PackMedia has a proud reputation for providing a consistently high-quality, secure and reliable service. Our production facility meets the exacting demands of the sector and our highly-skilled and experienced staff can tailor our services and develop effective products that meet the specific needs of each project. Customers can rest assured that all our products are produced in an environment with strict hygiene and cleanliness controls. Each of our pharmaceutical jobs is uniquely identified to ensure maximum product security and our manufacturing facility gives quality results every time. Fix-a-Form® booklet labels are also ideal for medical devices and patient information leaflets. Providing product use instructions for medical devices, equipment or non-consumable health products is another common healthcare use of Fix-a-Form® booklet labels. Correctly using a medical device can improve the efficacy of the product, particularly when using clear instructions and diagrams. Helping you to meet your legislative requirements, we provide cost-effective and versatile solutions for professionally printed patient information leaflets, tailored to help user information stay with the product throughout its life and reduce packaging waste. To adhere to labelling regulations while ensuring the readability of mandatory text, visit Pyrotec PackMedia today. 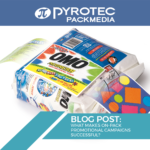 What makes on-pack promotional campaigns successful? 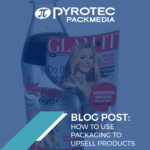 Pyrotec PackMedia develops and manufactures innovative on-pack informational and promotional solutions that take packaging to the next level and allow customers to multiply the area used for communication on their packaging several times over.